Select G3X Touch displays are available with a built-in SiriusXM receiver. Alternatively, the GDL 51R SiriusXM reciever is also compatible with all G3X Touch displays. SiriusXM subscription required and sold separately. The G3X Touch suite of displays offers incredible installation flexibility. Use any combination of up to 4 of the 10.6" and 7" landscape or 7" portrait displays. 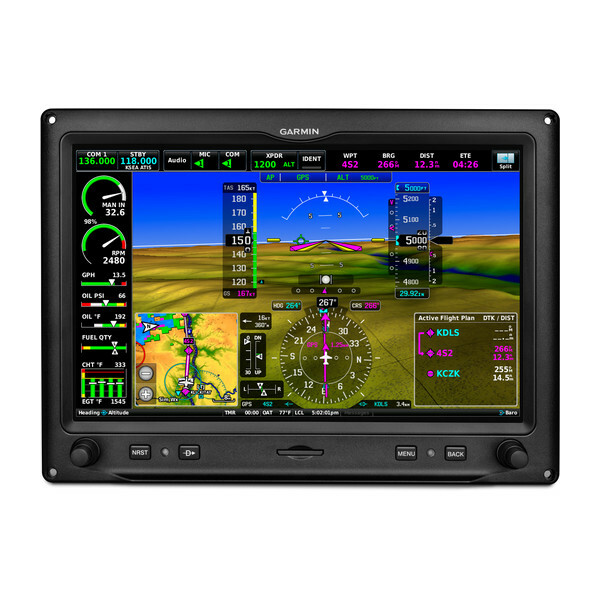 These bright, easy-to-read screens are easily configured as PFDs for attitude, airspeed, altitude, heading, vertical speed and more; MFDs with advanced moving map, including terrain, obstacle and traffic alerts, georeferenced FliteCharts® or ChartView™ charts powered by Jeppesen®, and SafeTaxi® airport diagrams; or optional EIS.Each display features a high-resolution screen with infrared touchscreen technology that offers large touchpoints to ensure precise inputs and minimize inadvertent touches, even with gloves. And there's a handy bezel to steady your hand in rough air. Of course, G3X Touch also has 2 familiar concentric knobs and 4 dedicated buttons — for quick access for Nearest, Direct-to, Menu and Back — if that suits your style, too.